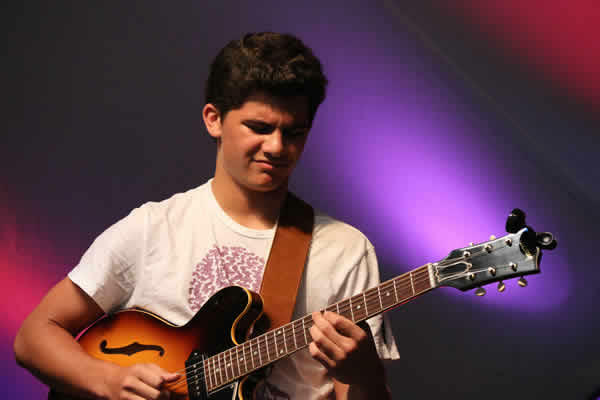 Josh Achiron, one of the Crown Guitar Festival scholarship students, on stage opening for Lee Ritenour and Friends. Since 2010, the Crown of the Continent Guitar Foundation has held a week-long guitar workshop and concert-series at Flathead Lake Lodge. Every year the non-profit organization also awards dozens of scholarships for young and gifted guitar students. Josh Achiron, Solomon Hicks, and Emily Elbert joined 26 other current and former scholarship students for live performances and impromptu jam sessions. Every single one of them lives and breathes guitar. 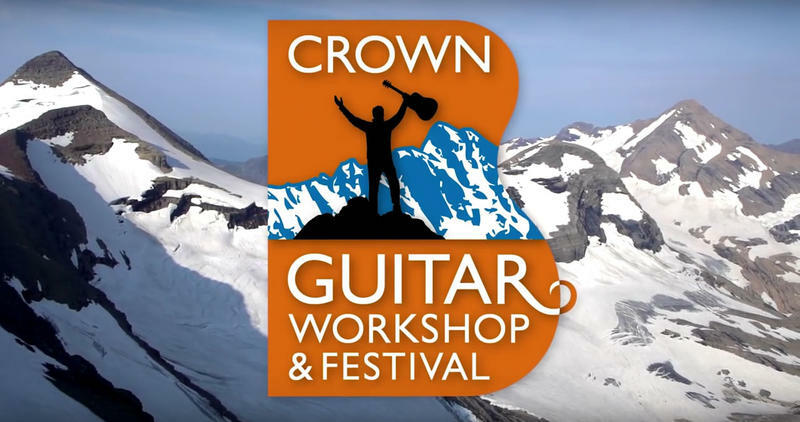 The 2015 Crown Guitar Workshop & Festival runs from August 25 through September 6 at the Flathead Lake Lodge in Bigfork, MT.